As Sydney Markets prepares for its move to the Aerotropolis in Western Sydney, plans are already underway for a significant urban renewal project at its existing Flemington site. 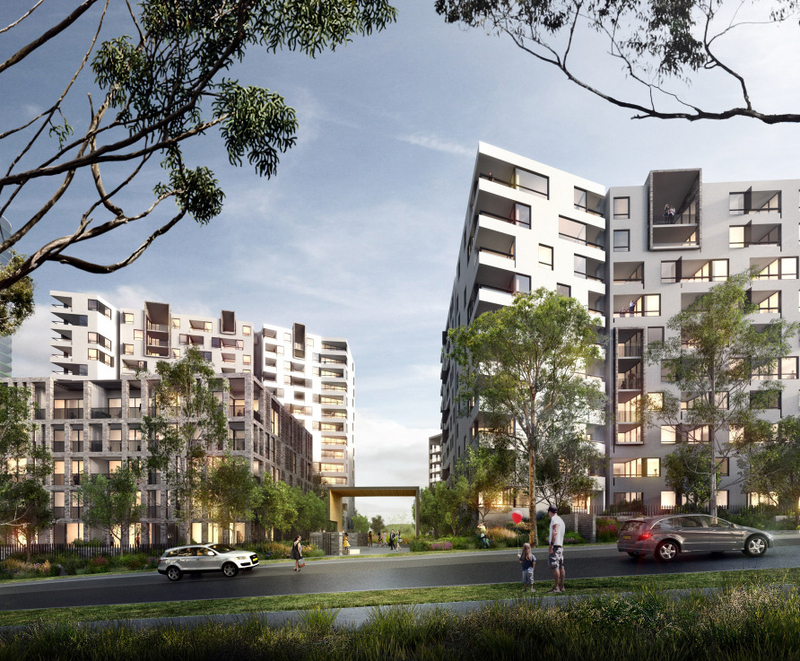 The soon to be vacated site, located between the Sydney CBD and the growing city of Parramatta, now looks set to be transformed into a green urban village, dubbed Flemington 2036. 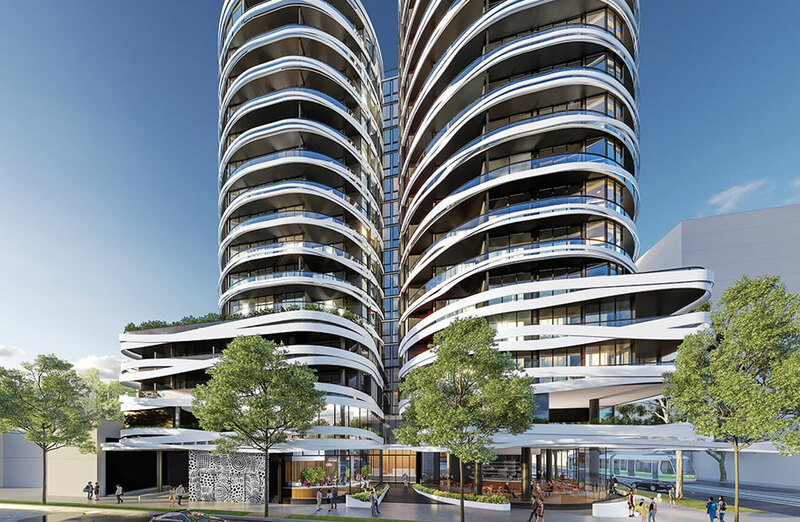 The concept, unveiled by the Urban Taskforce, has been designed by Sydney architect Tony Owen. 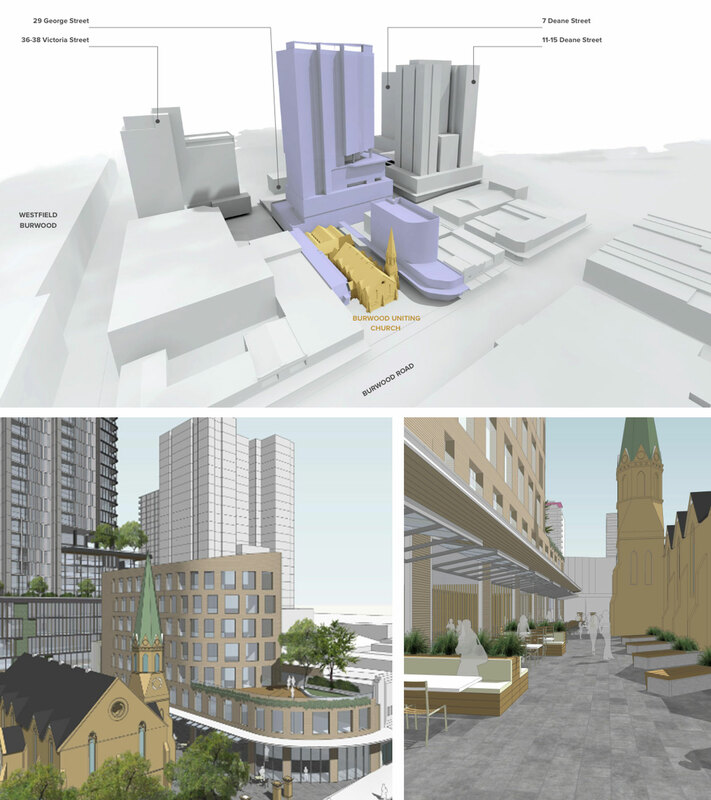 Owen’s proposal includes a mix of urban agriculture, commercial offerings, high-density living, shared facilities and a new market hall. Sydney Markets, one of the largest fresh fruit and vegetable wholesale market in Australia, was originally based in Haymarket close to Darling Harbour. The markets relocated west to Flemington in 1975 to be closer to the then centre of Sydney at Parramatta. 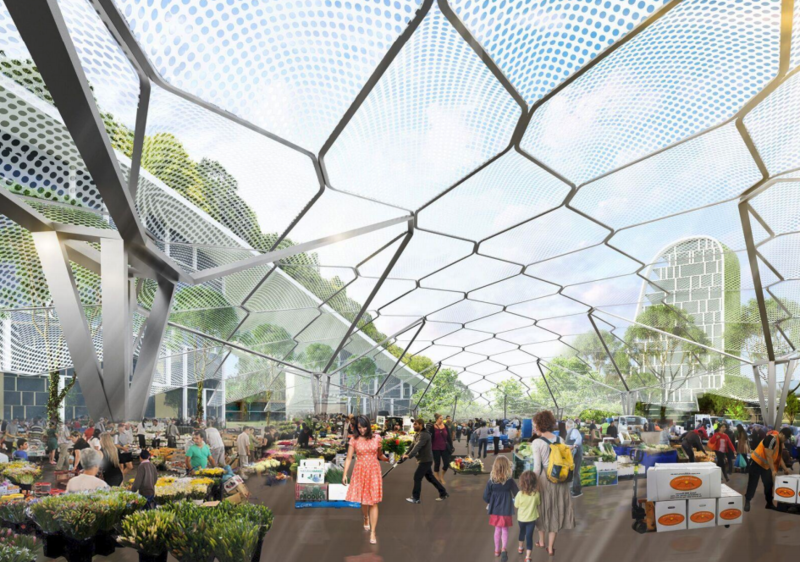 Sydney Markets, which includes produce, flowers and growers outlets, announced an agreement with the NSW Government earlier this year to establish at the Aerotropolis. 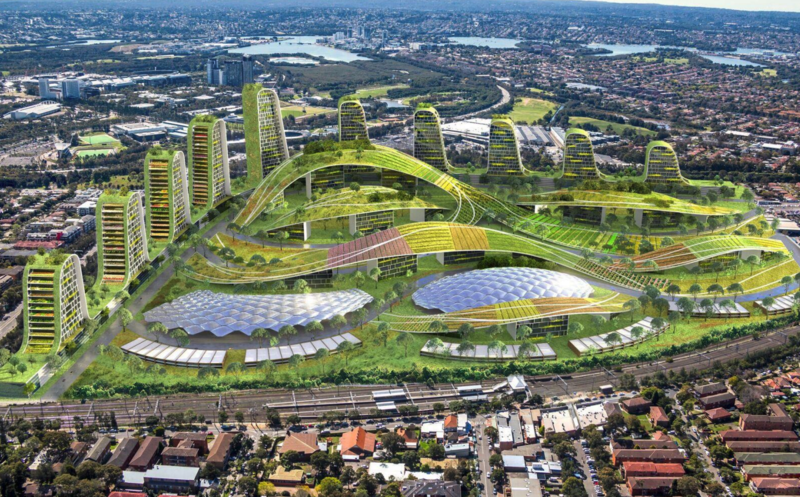 “With Sydney now planned to have three city centres the announcement that Sydney Markets will move further west to be part of the third city at the Aerotropolis completes their move to the areas of growth,” Urban Taskforce chief executive Chris Johnson said. The proposal includes the use of green roofs to promote communal agriculture and to help reduce the heat build up on the site while capturing water run off. “Buildings are dripping in greenery and lower height buildings have green roofs that are used for agriculture that could include cows grazing and free range chickens,” Johnson said. The entire Flemington 2036 project will be self sustainable with the food grown on site. The proposal, if realised, is anticipated to support up to 10,000 new residents and 4,000 workers. There is also an option of providing a new station on the proposed Metro West line to further connect the site to jobs in Parramatta and in the Sydney CBD.